Edmund H. Kwan, D.D.S., M.S.D. Dr. Edmund H. Kwan received his Doctor of Dental Surgery degree from the UCLA School of Dentistry in 1974. After a one year general practice residency at the VA Hospital in Los Angeles, he practiced general dentistry for three years in Santa Monica, CA. Realizing he wanted to practice endodontics exclusively, he returned to school for two more years and received his Certificate in Endodontics and a Master of Science in Dentistry in 1980 from the University of Washington School of Dentistry. Upon graduation he opened his practice in Burien, WA. 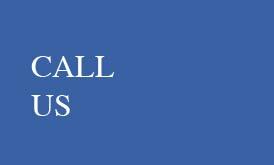 In 1994 he moved his practice to its present location in Tukwila, WA. He is a member of the American Dental Association, Washington State Dental Association, Seattle King County Dental Association, American Association of Endodontists and the Washington State Association of Endodontists. He is the immediate past president of the Burien Dental Study Club and a member of the Premier Study Club. He also serves as dental consultant to the Woodland Park Zoo and Seattle Aquarium in Seattle, and the Point Defiance Zoo and Aquarium in Tacoma. Having practiced endodontics exclusively since 1980, Dr. Kwan has performed well over 20,000 endodontic procedures. He has the knowledge, expertise and experience to care for your endodontic needs. Steven C. Kwan, D.D.S., M.S.D. 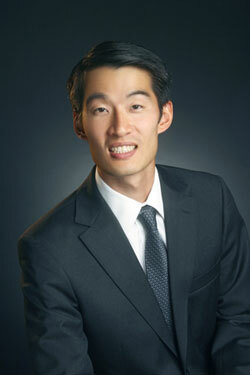 Dr. Steven C. Kwan received his Doctor of Dental Surgery from the University of Washington in 2009. Due to his strong interest in endodontics, he decided to pursue additional post-doctoral training in the field. In 2011 he graduated from the University of Washington with a Master of Science in Dentistry and a Certificate in Endodontics. He attended high school at Lakeside School in North Seattle and college at Stanford University in California where he received a Bachelor of Science in Chemistry with a minor in Biological Sciences. Dr. Kwan is the President of the Burien Dental Study Club. He is a member of the Premier Study Club, the South Sound Multi-Disciplinary Study Club, and the Eastside Young Dentists Study Club. He is also a member of the American Dental Association, Washington State Dental Association, Seattle King County Dental Association, American Association of Endodontists and Washington State Association of Endodontists. Dr. Kwan is an Affiliate Assistant Professor at the UW School of Dentistry where he teaches dental students how to perform root canal therapy. He also volunteers as a dental consultant for the Woodland Park Zoo. As Diplomate of the American Board of Endodontics, Dr. Kwan is a Board Certified Endodontist, a title achieved by just 20% of all endodontists. He lectures to local dental study clubs and has presented at local and national meetings. His research interests include pain mechanisms and dental trauma. He serves as a reviewer for the peer reviewed journal, Dental Traumatology. • Kwan SC, Johnson JD, Cohenca N. The Effect of Splint Material and Thickness on Tooth Mobility after Extraction and Replantation using a Human Cadaveric Model. Dent Traumatol 2012;28:277-81. • Bruchas MR, Yang T, Schreiber S, DeFino M, Kwan SC, Li S, Chavkin C. Long-acting Kappa Opioid Antagonists Disrupt Receptor Signaling and Produce Noncompetitive Effects by Activating c-Jun N-terminal Kinase. J Biol Chem 2007;282:29803-11. Tom H. Wei, D.D.S, M.S. 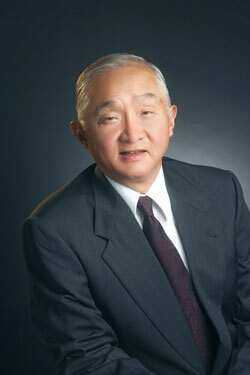 Dr. Tom H. Wei received his Doctor of Dental Surgery from the University of the Pacific in 2007. Upon graduation, he was commissioned as a Lieutenant in the United States Navy Dental Corps and was stationed at the Marine Corps Air Ground Combat Center in Twentynine Palms from 2007-2010. Having taken an interest in the field of endodontics while practicing as a general dentist in the military; he decided to further his dental education at the University of Minnesota where he received his Master of Science and Certificate in Endodontics in 2012. Originally from California, Dr. Wei decided to move out to the Pacific Northwest after two years of practicing in Minnesota to be a little bit closer to home in 2014. He is a member of the American Association of Endodontics, Washington State Association of Endodontists, American Dental Association, Washington State Dental Association, and Seattle King County Dental Association. He is also a member of the South Sound Multi-disciplinary Study Club. His research interests include the fracture resistance of teeth following endodontic treatment.